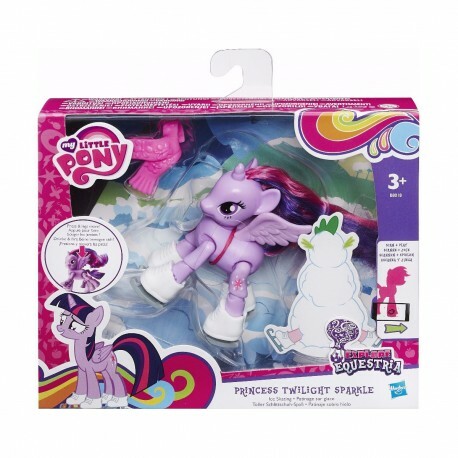 This poseable 3-inch My Little Pony Princess Twilight Sparkle figure is ready to take to the ice rink and show off her moves! -She features 8 points of articulation and when you press down on her back, her legs move like she's slipping on her ice skates! -The skate-acular Princess Twilight Sparkle pony figure comes with 5 accessories, including a scarf and a set of ice skates to act out fun skating scenes! -Scan the pony figure’s code to unlock more fun in the My Little Pony Friendship Celebration app!